Don’t worry if your date is already listed below. Pulse is a team of professional musicians who can perform multiple shows on any given day. Bookings for Corporate Events, Weddings, Birthdays, Festivals and other functions always fill fast. Don’t wait! 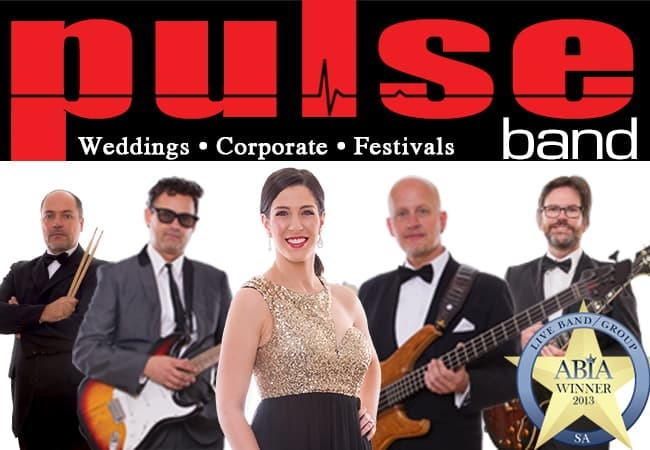 Book Pulse band for your 2019 function NOW! 27th – 40th Birthday Party Sporting Club of S.A.